To evaluate the screening accuracy of an Eye Movement Perimetry (EMP) in comparison with Frequency Doubling Perimetry (FDP) and to investigate the patient preference and perception towards these visual field screening methods. A total of 104 healthy subjects (mean age (SD) of 48 (14) years) and 73 glaucoma patients (mean age (SD) of 52 (13) years) were recruited. All the participants underwent a comprehensive ophthalmic evaluation including the 24-2 SITA standard protocol on the Humphrey Field Analyzer (HFA). This was followed by the 26-point protocol in EMP and the C-20-1 protocol in FDP. During EMP, all subjects were instructed to fixate a central target and to look at the detected peripheral target, followed by refixation of the central target and Saccadic Reaction Time (SRT) towards each of the “seen” stimuli was calculated. Next, a questionnaire was administered to evaluate the patient preference and perception towards the perimetry techniques. Mean SRTs and Robin scores were used to plot Receiver Operating Characteristics (ROC) curves to determine the screening accuracies. From the questionnaire survey, the frequency distributions of the responses were calculated. Robin score and SRT were significantly increased in glaucoma patients in comparison with the age-matched healthy subjects (p < 0.001). The ROC analysis revealed comparable Area Under the Curve (AUC) values (0.95, p = 0.81) with a specificity of 95.2% for FDP and 96.2% for EMP with a sensitivity of 87.7%. Thirty-seven percent of the older age group (≥ 40 years) and 65% of severe glaucoma patients showed preference for EMP over FDP. This study results indicate that the customized protocol in EMP provides efficient and rapid means of screening visual field defects in glaucoma, which compared well with FDP. Elderly healthy participants and patients with moderate and severe glaucomatous defects preferred EMP as it permitted natural reflexive eye movements thereby resembling a real-life test setting. This study was financially supported by the Netherlands Organization for Health Research and Development [ZonMw, grant no. 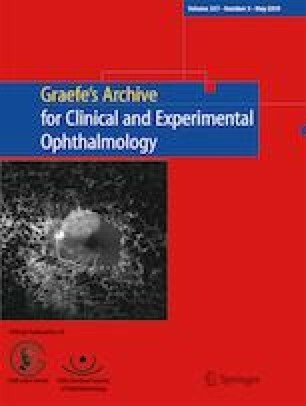 116310001] and the Department of Science and Technology, Government of India [DST/INT/NL/Biomed/P (2)/2011(G)] and the foundations Glaucoomfonds, Oogfonds, Rotterdamse Stichting Blindenbelangen, and Stichting Blindenhulp contributed through UitZicht. The authors declare that they have no conflict of interest. The funding organizations had no role in the design or conduct of this research. They provided unrestricted grants.